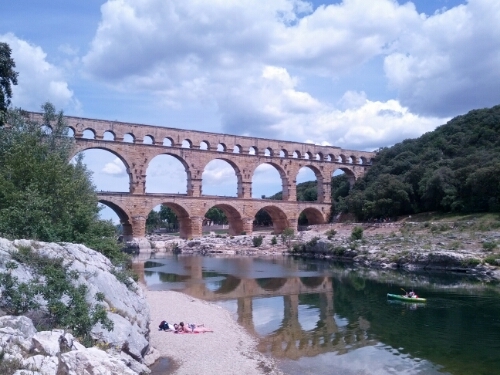 As the “must see” tourist destination in southern France, the Pont du Gard lived up to the hype. Even though we arrived on a day featuring thousands of school children and some type of band performing environmental songs (over and over), the majesty of the site drown out most of the distractions. 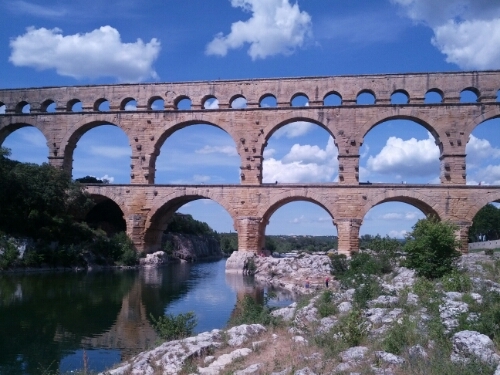 This aqueduct, completed in 50 AD, was part of an system used to convey spring water more than 30 miles to the important Roman city of Nimes, making possible large water installations, like baths and fountains, in a place without a river.